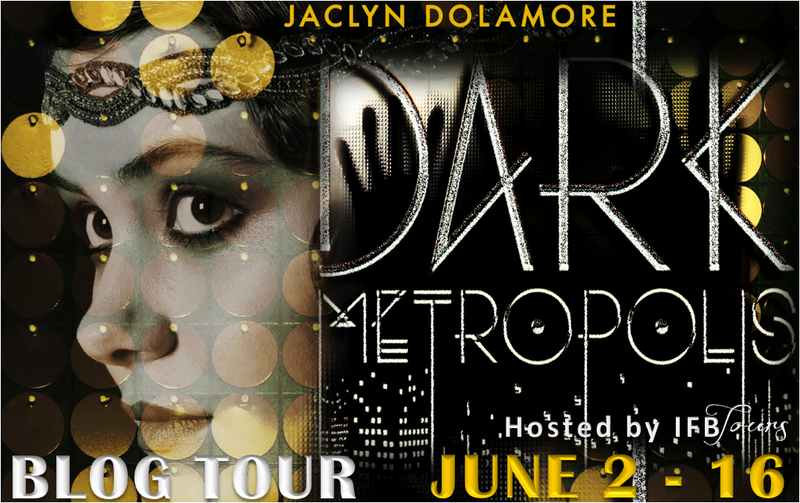 For my stop on the Dark Metropolis blog tour, I have a fun interview with author Jaclyn Dolamore! Plus, don't forget to enter the tour-wide giveaway at the bottom of this post. Cabaret meets Cassandra Clare-a haunting magical thriller set in a riveting 1930s-esque world. Sixteen-year-old Thea Holder's mother is cursed with a spell that's driving her mad, and whenever they touch, Thea is chilled by the magic, too. With no one else to contribute, Thea must make a living for both of them in a sinister city, where danger lurks and greed rules. Thea spends her nights waitressing at the decadent Telephone Club attending to the glitzy clientele. But when her best friend, Nan, vanishes, Thea is compelled to find her. She meets Freddy, a young, magnetic patron at the club, and he agrees to help her uncover the city's secrets-even while he hides secrets of his own. Together, they find a whole new side of the city. Unrest is brewing behind closed doors as whispers of a gruesome magic spread. And if they're not careful, the heartless masterminds behind the growing disappearances will be after them, too. Perfect for fans of Cassandra Clare, this is a chilling thriller with a touch of magic where the dead don't always seem to stay that way. Jaclyn, I am such a big fan of your work! 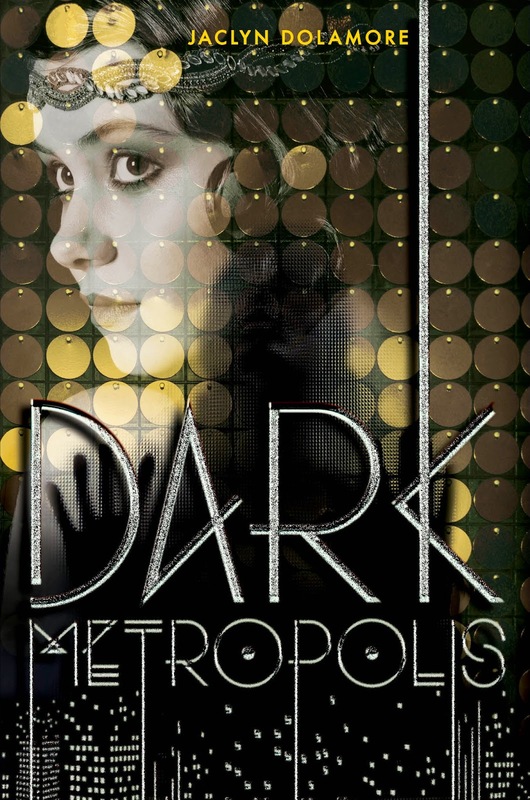 I loved Dark Metropolis as well as your Magic Under series. Therefore, I'm super excited to be able to welcome you to Jessabella Reads for the first time! Thank you so much for taking the time to answer a few of my questions. 1.) What do you love most about the 1930's (the time period in which Dark Metropolis takes place)? The publisher's copy says 1930s but it's actually just based on Weimar-era Berlin which was primarily the 1920s going into the early 1930s. I've always loved the 1920s, especially in Europe because...I don't know, it somehow seems like it was darker and classier over there than in America. 1920s Berlin was one of the most freewheeling cities in the world at that point, with lots of radical intellectuals, modern artists, fairly open and varied sexuality, and eccentric characters. And the 1920s fashions!! 2.) Which character was your favorite to write and why? In this book, Nan, because she's tough and she gets things done but she's also rather glamorous, I think. She's also pretty androgynous and I've never written an androgynous girl before. When you write a lot you see a lot of characters repeat to some extent--they're not the same person, but you have certain types you always write, and it's fun when you write someone out of type. 3.) What are you reading right now? I just got back from BEA and I'm reading a galley of The Jewel. It's serious fluff but page-turning fun so far. I need that right now because I'm mired in a revision and I can't concentrate! 4.) Having read as many books as possible when you were a child, which ones would you say truly ignited your passion to become an author? The Emily books by L. M. Montgomery and Elfquest comics. 5.) What are 5 random facts about you that I wouldn't find using Google? I usually never listen to pop music but I kind of love Miley Cyrus. I never watch sports on TV but I will drop EVERYTHING for the Olympics. I like smart entertainment but when it comes to TV I never watch any of the shows with great writing that everyone talks about. Just pretty much comedy and stupid stuff. My closet is packed with vintage dresses but 95% of the time I'm just at home wearing pajama pants and a t-shirt. I am incredibly organized when it comes to actual paying jobs, and incredibly disorganized with everything else. Thanks so much for having me, Jessica, and I'm so glad you've enjoyed the books!! Jaclyn Dolamore was homeschooled in a hippie sort of way and spent her childhood reading as many books as her skinny nerd-body could lug from the library and playing elaborate pretend games with her sister Kate. She skipped college and spent eight years drudging through retail jobs, developing her thrifty cooking skills and pursuing a lifelong writing dream. She has a passion for history, thrift stores, vintage dresses, David Bowie, drawing, and organic food. She lives with her partner and plot-sounding-board, Dade, and two black tabbies who have ruined her carpeting. This sounds like a great book, and it has an interesting plot. I love books that include magic! Thanks for the giveaway! This sounds great! thank you for the chance to win!